Free Practice 1 + 2: In the first practice session the Kaufmann Drivers directly showed a good pace. 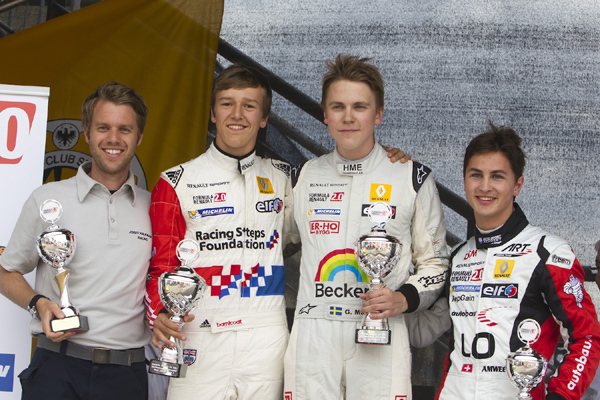 Malja P 3, Delétraz P 5 and Tveter P 17. In the second session the Kaufmann Drivers safed a set of new tyres for but still were on a strong pace. Delétraz P 6, Malja P 10 and Tveter P 11. Qualifying 1 + 2: In the first qualifying the Kaufmann Drivers were able to show their full potential. Tveter was on P 14.Delétraz and Malja were fighting for the top spots. Delétraz ended on P 4 and Malja took his maiden Pole. In the second qualifying Tveter again on P 14, Malja only P 10 due to traffic on his 2two flying laps and Delétraz on a good P 5 again. Rcae 1: In the first race Tveter made up a few positions and finished P 12. Delétraz was running the whole race on P 3 but in the penultimate lap he lost the podium position and finished P 4. Gustav Malja drove a perfect race. After a good start he kept the lead and was driving constant fast laps without mistakes. 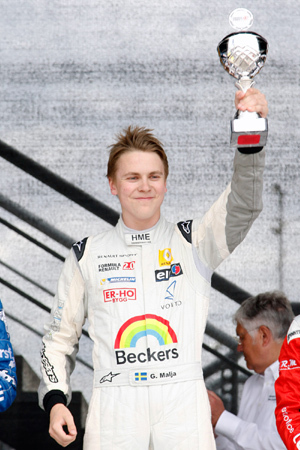 25 minutes later the young swede took his first ever Formula Renault victory. Race 2: In the second race Tveter again made up a few positions to finish P 11. Malja as well improved himself to P 9. Delétraz lost one position in the first lap but then was running the same speed as the drivers in front of him and finished on P 6. 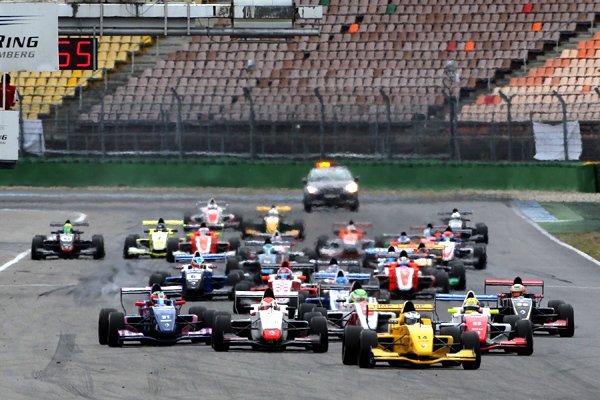 Race 3: The third Race was started in reverse grid of the top 6 drivers of race 1. Tveter once more finished on P 11 this weekend. Louis Delétraz was pushed off the track twice during the first laps and dropped back to P 8 in the end. 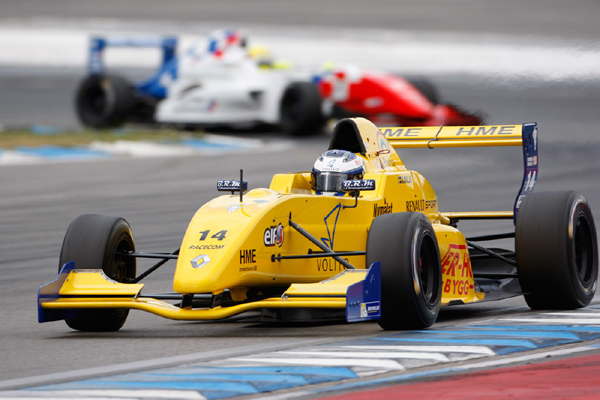 Gustav Malja drove again a strong race and after a good opening lap he managed to finish the race on a solid P 4.